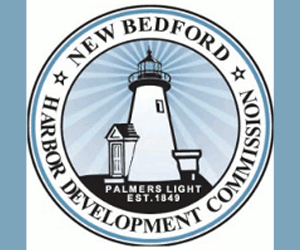 New Bedford, Massachusetts mayor Scott Lang wrote a second letter to NOAA Administrator Jane Lubchenco on April 20, 2010, urging a delay in implementation of Sector Management. The letter is a follow-up to his original letter written a month ago that remains unanswered. 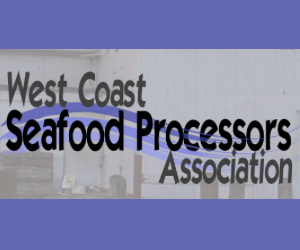 The letter was copied to Commerce Secretary Gary Locke, Eric Schwaab, National Marine Fisheries Service and over 70 members of Congress. The text of the letter follows: I am writing to express my extreme concern that the catch share / sector program remains scheduled for implementation on May 1, 2010. In my letter dated March 22, 2010, I focused on several key points suggesting the necessity of delaying the start of the catch share /sector program. I have not received a formal response from the National Oceanic and Atmospheric Administration (NOAA) [A copy of the March 22, 2010 letter is enclosed herein]. With a short ten days (10) outstanding, I remain steadfast in my position that NOAA is not ready to move forward with the catch share /sector program, and that the start must be postponed. I believe a number of significant issues remain unaddressed and jeopardize the sustainability of fishing communities in the New England region. Of utmost concern is the lack of collaboration and buy-in from the fishing industry. NOAA as a government entity is tasked to work for the public good. The catch share /sector management regime is highly controversial and untested in a major multi-species fishery, such as New England. There is no clear understanding of how the program will lead to conservation and rebuilding of fish stocks. This is exacerbated by the fact that there has not been a thoughtful study or understanding by the Agency of the socio-economic impacts of the catch share / sector program as required under Rule 8 of the Sustainable Fisheries Act (SFA). With institution of the catch share / sector program, it has been predicted that we will see over 50% of the fishing fleet adversely impacted and result in irreversible economic harm to fishing communities during one of the nation’s most challenging economic periods. I maintain there is a much better approach than rushing the implementation of NOAA’s “work in progress” management program. Setting new and more flexible rebuilding programs under the SFA as is advocated by US Congressman Barney Frank and other members of the federal delegation will lead to more effective and strategic rebuilding measures. Improved science will allow for the implementation of catch allocations that meet both the goals of conservation and sustaining the economic vitality of fishing communities. It is premature to implement a program without allowing time for increased flexibility and improved science. 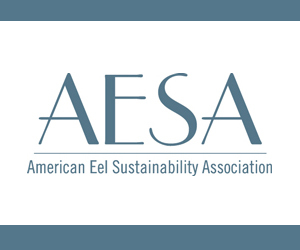 · A complete accounting of all federal funds spent on implementing the catch share program in New England thus far and a proposed budget for future expenditures. New Hampshire's Fish and Game Department is getting a head start on celebrating Earth Day. It's holding a festival in Concord on Saturday called "Discover WILD New Hampshire Day" outside of department headquarters. Children can try archery, cast with the "Let's Go Fishing" program, and create wildlife arts and crafts. Participants can see retrieval dogs in action and become a junior conservation officer. Fish farmer Donald J. Sadue sells thousands of his rainbow trout every year for school aquaculture programs and for stocking, but he can't offer his wares to restaurants or grocery stores. "Most of the ones you see in the stores come from Idaho," Mr. Sadue said. 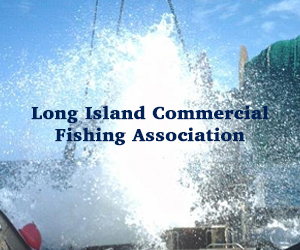 "New York hasn't wanted fishermen catching sports fish and selling them to a restaurant. It's like saying you can't sell maple syrup that's made in New York, that you have to get it from Vermont." A pending state bill would legalize the sale of hatchery-raised food-size trout and black bass to third-party vendors. If the bill passes, Mr. Sadue plans to raise 50,000 to 60,000 fish for the restaurant trade and assumes other small operations would open up. "There are people who would like to get into it, but not with the limited market of stocking," Mr. Sadue said. "My priority is to get this law passed. That opens up so many opportunities." Read the complete story at the Watertown Daily Times. NEW BEDFORD — The late Capt. Martin "Marty" Manley was honored Thursday with the unveiling of a memorial sign at the city's Popes Island Marina, the building of which was one of his life's accomplishments. Mayor Scott W. Lang led a series of remembrances of Manley, a waterfront and fishing industry stalwart who died in August 2009 at the age of 76. Many of those present knew Manley for decades, including former Mayor John K. Bullard, who put Manley in charge of the Harbor Development Commission during his term in office. PROSPECT HARBOR, Maine — The intensely fishy smell of sardines has been the smell of money for generations of workers in Maine who have snipped, sliced and packed small, silvery fish into billions of cans on their way to Americans' lunch buckets and kitchen cabinets. For the past 135 years, sardine canneries have been as much a part of Maine's small coastal villages as the thick Down East fog. It's been estimated that more than 400 canneries have come and gone along the state's long, jagged coast. The lone survivor, the Stinson Seafood plant here in this eastern Maine shoreside town, shuts down this week after a century in operation. It is the last sardine cannery not just in Maine, but in the United States. Lela Anderson, 78, has worked in sardine canneries since the 1940s and was among the fastest in sardine-packing contests that were held back in the day. Her packing days are over; now she's a quality-control inspector looking over the bite-sized morsels in can after can that passes by her. Read the complete AP story at Google. Saving Seafood has compiled a brief slideshow of Governor Patrick's recent visit to New Bedford. Maine is receiving a $173,250 grant aimed at protecting salmon habitat. That's according to U.S. Senators Olympia Snowe and Susan Collins, who say the funds are coming from the U.S. Fish and Wildlife Service's Cooperative Endangered Species Conservation Fund. 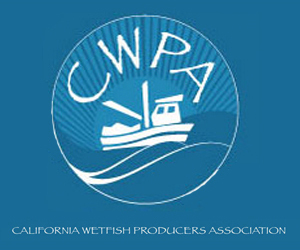 The grant will allow the state's Marine Resources Department to begin phasing in a habitat conservation plan for salmon. The money will allow the department to begin working with private landowners, conservation groups and others to acquire and protect habitat for the federally endangered fish. Read the complete story from the Maine Public Broadcasting Network. 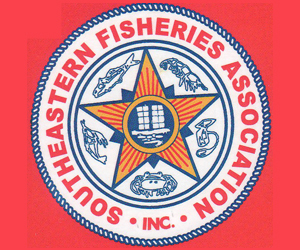 The Fisheries Survival Fund (FSF) has issued the following statement regarding Massachusetts Governor Deval Patrick's visit to New Bedford on Friday, April 9. Washington, D.C. – April 12, 2010 — The Fisheries Survival Fund (FSF) praised Massachusetts Governor Deval Patrick for his strong support of scallop fishermen and their families. Governor Patrick was honored by FSF and the scallop community on Friday, April 9 in New Bedford, where he and members of his administration were joined by local elected officials, including New Bedford Mayor Scott Lang, to participate also in a roundtable discussion with scallopers. In January, as a result of efforts by Governor Patrick and others, the New England Fishery Management Council decided to reconsider its decision to restrict fishing opportunities for the Atlantic sea scallop fishery in 2010. The reversal spared fishermen and fishing communities, such as New Bedford and others like it from Maine to North Carolina, from well over well over $100 million in losses. The Governor began the visit by hearing from representatives of the scallop community and local elected officials, including New Bedford Mayor Scott Lang, about the importance of the Council’s reversal decision, and the opportunities and challenges facing the scallop fishery in the future. Afterward, he joined the fishermen and officials for a close-up view of recent fishing gear advances and underwater video equipment led by gear technologist and researcher Ron Smolowitz of the Coonamessett Farm Foundation. The gear included a chain mat and scallop dredge designed to reduce the potential for harm to sea turtles and incidental catch of other fish species, while the underwater camera equipment is designed to monitor scallop stocks and better understand and map the seafloor habitat more generally. The gear refinements were largely designed through the efforts of Smolowitz, an FSF consultant. The video equipment was designed by the University of Massachusetts School for Marine Science and Technology and the Woods Hole Oceanographic Institution, and is operated with the assistance of the scallop fishing industry. 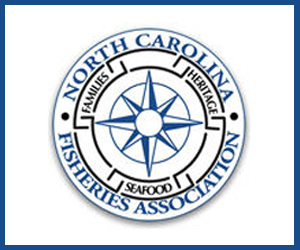 The Fisheries Survival Fund (FSF) is the largest national organization dedicated to protecting and strengthening the nation’s Atlantic sea scallop fishery. NEW BEDFORD — It was not that long ago that scallop fishermen were staring down regulations that would have slashed their operations significantly. Available ocean fishing days were reduced from 38 to 29. About 8 million pounds of scallops would be lost, causing a direct $41 million hit on the industry and an economic ripple effect of about $100 million. Some fishermen, said Herman Bruce, who fished out of New Bedford for 40 years, were looking at a quarter of their income being gouged. Thanks to a reversal regarding fishing regulations, those things did not happen. While most folks were shoveling snow, anglers, and their representatives, plowed through the halls of Congress in Washington, D.C. and state government offices in Trenton working to get a better deal for the state's recreational fishermen. 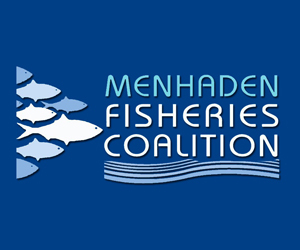 Weary of increasingly restrictive regulations and harmful management decisions based on faulty data, fishermen's groups worked together to push back against policies seemingly aimed at getting them off the water. Among the issues fishermen face are inflexible stock rebuilding deadlines imposed by the Magnuson-Stevens Act, the unprecedented federal closure of the black sea bass fishery last October, the institution of a federal salt water registry, commercial pots on artificial reefs, catch shares and tougher regulations on favorite species. Read the complete story at The APP.